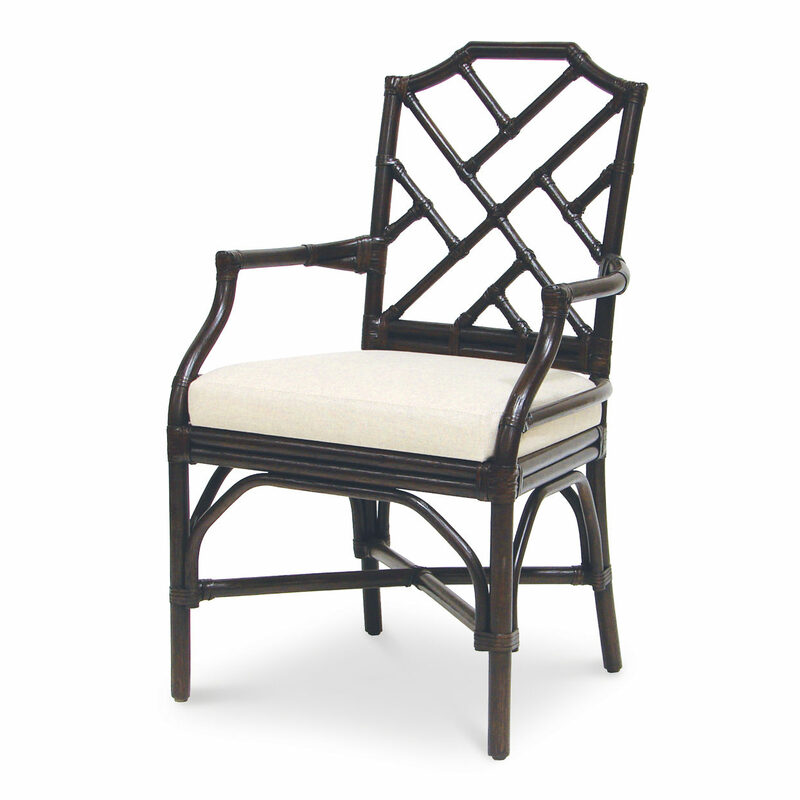 Pole rattan frame, legs, and back accented with leather bindings. 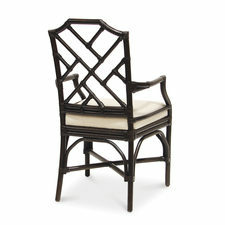 Chair comes with fixed upholstered seat. Available in all PALECEK finishes.